If you're a business leader, it stands to reason you'd write about business, right? 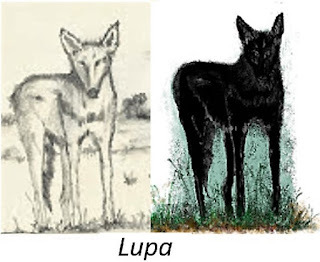 Not necessarily - Dallas businessman Doug Gordon transfers his organizational and management skills to bring detail oriented research and product development to his novels. Inspired by his older brother's deep faith, Doug honors his memory by exploring the roots of the Christian faith from its earliest appearances in history. 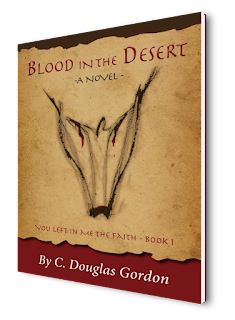 Doug's series, You Left in Me the Faith, seeks to shed light on the formative period that gave birth to the Church as we know it today, Years of research, writing, editing, rewriting, and then management of the publishing process have produced an exciting first novel, Blood in the Desert. Readers can't help but be amazed that Christianity survived at all. All the things we take for granted - codified writing and instruction, institutions, buildings, meeting space - none of this existed for hundreds of years following the death and resurrection of Christ. Blood in the Desert begins in Syria, during the late Third Century A.D. The times alone did not lend themselves to anything but autocratic rule, with early believers being subjected to persecution, torture, and even death at the hands of a ruthless government. Gatherings were held in secret, and oral histories of Yesua varied from region to region. Children were commonly orphaned, and a nomadic lifestyle was common. Doug creates fictional characters whose lives interact with and are impacted by real historical events and figures of the day. The result is a riveting portrait of the enduring supernatural power of love and faith in perilous times. The second novel in the series, The Twelve Coins, is currently in progress. Blood in the Desert is available through your local bookseller or online.